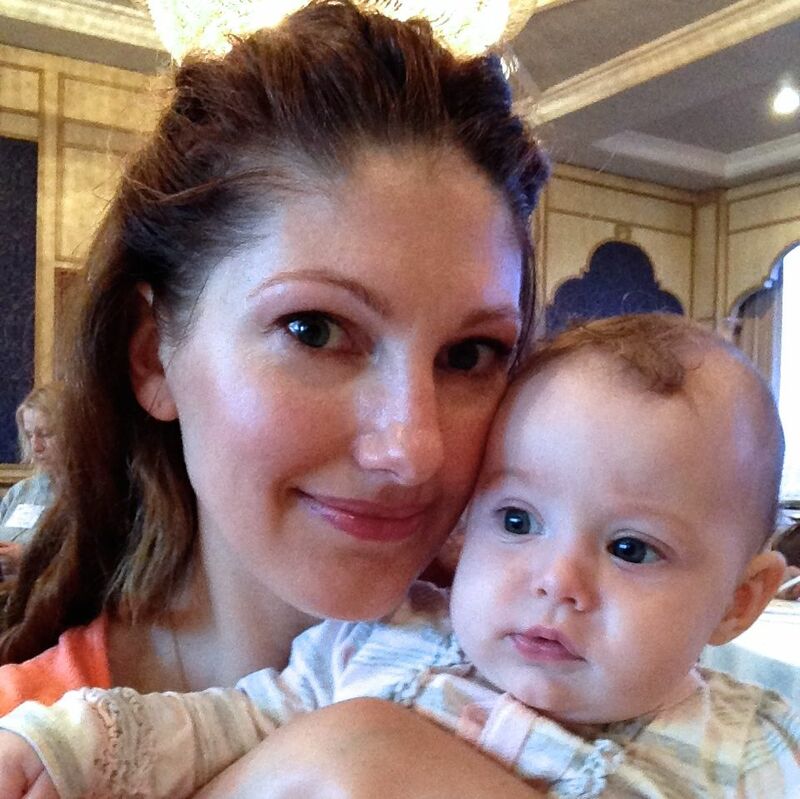 What is “Baby Bloggy Boot Camp”? Or #BabyBBC? Besides being really fun to say, Baby Bloggy Boot Camp was a mini-conference I attended here in San Diego. It was a half day event, part of the larger Women Get Social blogging conference put on by Tiffany and Francesca of the SITS Girls. As you may have guessed from the “Baby” in the title, the mini conference was focused on babies (yay!) and attended by pregnant women and new moms with their babes. My first year of blogging for this site has been fun and meeting other bloggers was a great experience. I was also able to network and get ideas for my site AbigailBurdLCSW.com, which is connected to my private practice as a therapist and focuses on mental health and wellness during pregnancy and postpartum. Disclaimer: Although the larger conference was a paid event, other participants and I were able to attend the Baby Bloggy Boot Camp for free because of the sponsors, including Ergobaby and Liz Lange Maternity for Target. We also got the best gift bag ever (more on that below). Despite the booty, all opinions expressed are my own. I sat next to Suzanne (@frugalorganic) from Frugal Organic Mama. We had a lot in common, from raising girls to making goat cheese. She even reached out to me afterwards to let me know she had linked to my post on setting up a cloth diapering station in one of her recent posts. How cool is that? Other awesome people I met can be found on Twitter: @BriGeeski, @Ergobaby, @joyinthemidstof, @CrazyCasaK, @MommyCrunch, @TLaborn, @PalmsandPigs, @SoCalSavvyMom, @TNL634, @Newmommabeckers, @AbabyAtree, and @TheFunthusiast. It seems somehow impolite to brag about the giveaways, but the gift bag at the end of the conference was well worth the trip out in the torrential rain. The products were right up my alley! Christina from Ergobaby, who makes a very popular soft-structured baby carrier, was there demonstrating three of their new products and sent us home with one of each. 1. Ergo has started making a swaddler for wrapping up new babies for sleep. 2. They now make a semi-stretchy wrap, out of yoga pants material. I have quite a number of woven wraps, made from different fibers, and I actually prefer the Ergobaby Wrap. I can tie it on and take Baby Bird in and out all day without it losing shape. And 3. (This isn’t even on the market yet) The Ergobaby 360 is a soft structured carrier that is designed to carry baby traditionally (facing a parents’ chest), on a parent’s back, or facing forward. I’m very leery of the risk of hip dysplasia with forward facing carriers, but since it is designed by Ergo, I’m more confidant of the safety. I own a wrap-conversion soft structured carrier, but have been getting a lot of use out of the Ergobaby 360 as Baby Bird finds it very comfy. Yay for babywearing! Anyone else attend Baby Bloggy Bootcamp? What did you like best about it?